Facial aging is characterized by the descent of tissues, loss of volume, wrinkling, and skin excess. The purpose of a facelift procedure at our Pittsburgh, PA, practice is to reposition the descended tissues and to remove the excess skin. The procedure is performed under general anesthesia and it is usually completed in 2 to 6 hours. 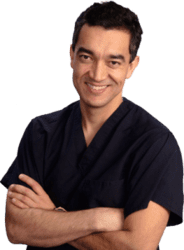 Trust your facelift procedure to the best-reviewed plastic surgeon in Pittsburgh. A face lift is the rejuvenation of the face by relocating the tissues of your face to a more youthful position. This can be done by using various techniques depending on the severity of the aging changes to your face. The facelift Pittsburgh is done in an accredited AAAASF- and state-certified facility or in a hospital, depending on the length of the procedure. It is done under sedation and local anesthesia, or general anesthesia. The duration of the procedure is about three to five hours. It is done as an outpatient procedure or with one overnight stay. A mini facelift is a modified and less invasive face lift. 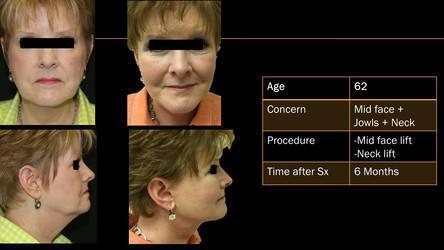 In a mini facelift the patient has minimal facial aging changes. In this case the removal of excess skin may be able to improve the aging condition. The recovery of a mini facelift should be easier and faster compared to a full face and neck lift. What is the recovery for a Facelift or a Mini face lift? 1 -2 weeks off from work if nonphysical. Follow-up appointments after: one week, 6 weeks, 6 months, and 1 year. Please visit our guideline page discussing the details related to the cost of Face and Neck Lift Surgery. In this article, we will discuss some important TIPS to consider while calculating costs. This educational tool will help surgical candidates compare differences among the quotes they receive from different surgeons. Trust your Face - Neck lift procedure to the best-reviewed plastic surgeon in Pittsburgh. What decisions do I need to make before my facelift surgery?